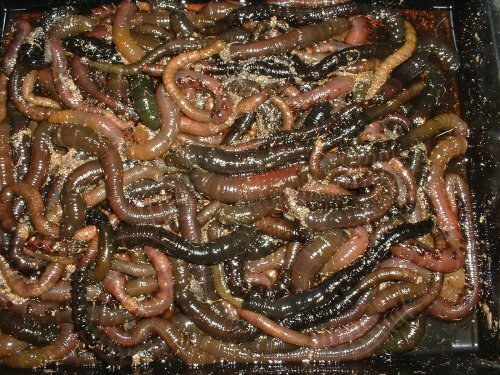 A lot of talk always goes on about what is the best way to keep lugworm alive for use as bait.Realistically you can only keep lugworm alive for a few days to a week at most,and this invloves constantly changing water,paper,removing dead ones etc. The alternative most commonly used method is to nip the heads of the worms,gut them by sliding your fingers along them,and then freezing them.This method does work but personally fishing with a few bits of skin on my hook has never been one of my favourites. 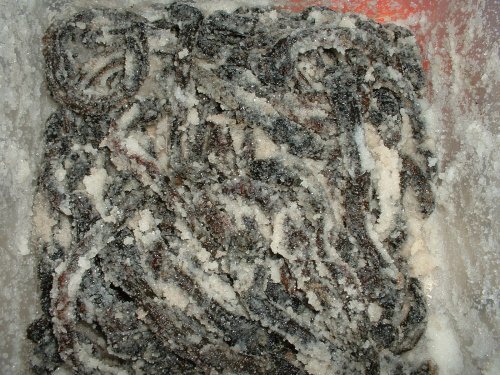 A simple alternative is to go back to the pre-freezer and fridge days when various fishes and meats were salted to dry out the moisture and allow perishable foodstuffs to keep for much longer. 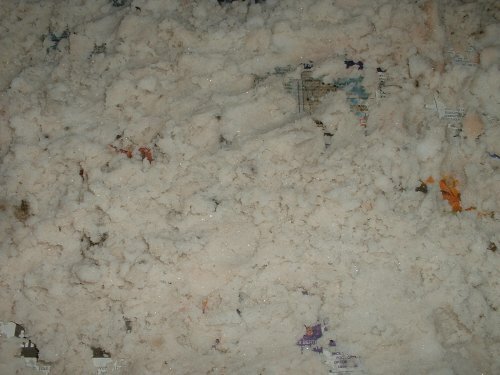 You'll need a few bags of cheap salt from the supermarket and a tub such as an empty 2 litre ice cream container. 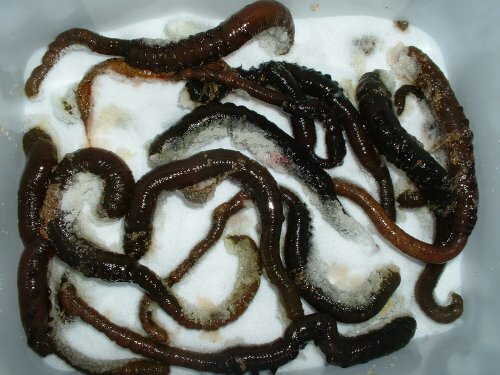 First you need some nice fresh lugworm,and wash them off. Repeat the laying out and covering process until the tub is full. 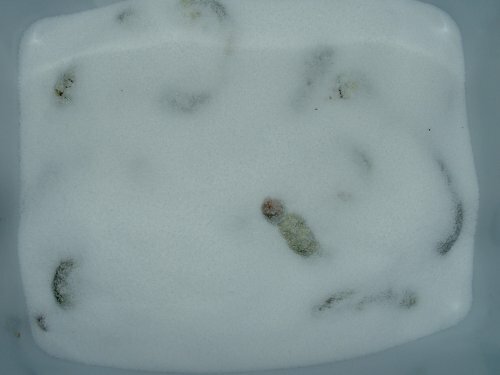 Now when your tub is full,put the lid on and set aside for a week or so.After that time,simply tip up your tub onto some newspaper and your lugworm,(although dramtically shrunk in size),are ready to use.They will feel like strips of liquorice or leather and be extremely firm which makes them great for casting.As soon as they enter the water they will re-hydrate and go back to how they were complete with nice juicy guts still intact. 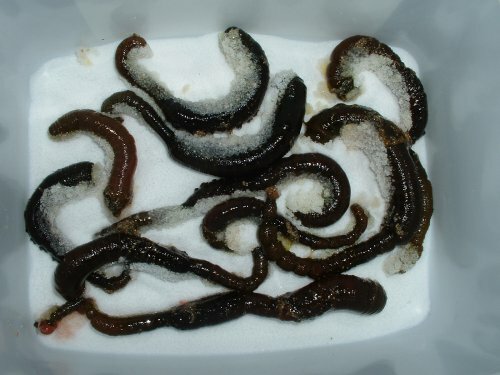 You can now pick out your worms,shake off most of the salt,and put them into a fresh container for storage.I just wrap the container in an old towel or sheet to prevent rapid temperature changes,(and therefore condensation),as I store them in my shed,but you can also freeze them at this point if you like. 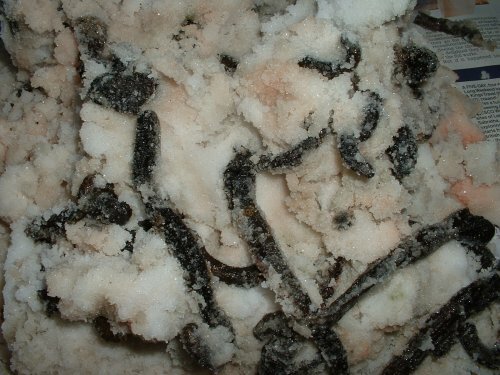 Now you can spread out your salt on the newspaper to allow it to dry,and then re-use for your next batch of worms.